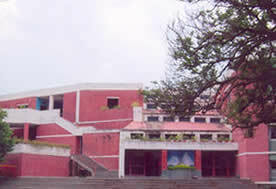 School, Manik Bagh was established in 1972. 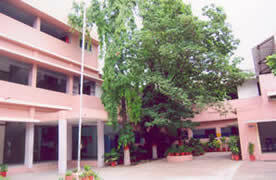 It has a well-maintained campus of 54acres housing a hospital and research centre, two separate buildings for junior and senior students, playgroundsand separate hostels for girls and boys.The school motto, Vidya Vinayen Shobhate enshrines the ethos that reverberates in this institution. In the journey encompassing 36 years Choithramians have made their presence felt in every sphere. The foundations for excellence in these spheres are laid early on, as the children are made to tread the well laid out paths which simultaneously provide exposure and experiences essential for holistic development of their personalities. The Primary classes take them further towards their goals aptly aided by regular outdoor and indoor co-curricular activities. Students have the choice to opt from a range of activities available. The school having permanent affiliation to CBSE follows the same curriculum. Comprehensive Evaluation on the basis of the year long performance forms the basis for promotion to the next class instead of any formal examination. A ‘healthy body hosts a healthy mind’ is the guiding maxim behind the wholesome and nutritious meals served at the dining hall. The fellowship inculcated during various co-curricular activities in these early years blossoms into lasting friendships later in life. The vast playgrounds with a multitude of sporting facilities ensures to build up team spirit, sense of sharing and a healthy lifestyle. The promising ones from classes IV and V receive specialized coaching beyond school hours for different games. The secondary school aims to strengthen the three Hs, Head, Heart and Hand. The numerous co-curricular activities further enhance the skills learnt. Various Inter School competitive examinations like National Science Olympiad, National Cyber Olympiad, NSTSE, Indian Standard Examination in Physics, Chemistry, Biology, Astronomy and Junior Science provide the students with much needed exposure hence leading to their boost in confidence. NCERT organized National Talent Search Examination has seen many Choithramians qualifying for the final round and 4-5 of them finally securing the scholarship till post graduate level. Learning new things is a way of life at Choithram School. Well equipped labs and library help children gain invaluable and rich experience. Choithram Maths Wizard has been an annual feature for past few years now for recognizing and promoting mathematical aptitude amongst students. Choithram Spell Bee started in the present session 2009 – 2010 aims at enhancing the vocabulary skills of students. A myriad of other cultural activities form a solid framework for development of personality and a rich experience to enable the students to boost their confidence. Hosting the All India Youth Festival – Aarohan has been one such beginning to provide a platform to our students to exhibit their talent and build up bonds with their contemporaries from across the country. Choithramians’ Rendezvous is another initiative to foster interaction and collaboration amongst students of five sister schools run by T. Choithram Foundation. Leadership is inculcated by empowering the student representatives through the Prefectorial Body at school level and at house level. The objectives of education are sought to be accomplished by this multi- pronged strategy in the institution dedicated to the service of mankind. The senior and junior school buildings are totally independent from each other. There is a spacious hostel in the campus itself with all modern amenities. The hostel has a capacity of housing 120 boys and a separate girls hostel accommodating 50 girls. The school has an outdoor stadium with 400 metre track, volleyball, handball and basketball courts, football and cricket ground with well built stadium as well as a swimming pool. A multi-purpose indoor stadium with badminton, table-tennis and squash courts, mini gymnasium, yoga hall, auditorium with capacity of about 1200 spectators has been constructed looking at the need of the hour.